Jonathan Morduch and Rachel Schneider. The Financial Diaries: How American Families Cope in a World of Uncertainty. Princeton University Press, March 2017. One of the best economics books of 2017, Fivebooks. Česká Pozice (Czech Republic). “Americké rodiny sužuje nestabilita příjmů.” By Petr Kain. July 11, 2018. Journal of Cultural Economy. “Innovating and improvising the social contract in the US financial borderscape.” By Mark Kear. April 24, 2018. Brookings Institution. The Avenue (blog). “Managing Uncertainty: Paycheck Volatility Demands New Responses.” By Mark Muro and Clara Hendrickson. March 1, 2018. BBC Radio 4. More or Less: Behind the Stats. Interview with Rachel Schneider on The Financial Diaries. January 22, 2018. New Books Network (Podcast). Conversation on The Financial Diaries with Stephen Pimpare. November 21, 2017. Motley Fool Answers. The One Certainty in Personal Finances Today Is Uncertainty. Video interview with Robert Brokamp. November 15, 2017. Next Billion. “The Financial Lives of Struggling Americans.” Review by Elisabeth Rhyne. October 18, 2017. Foreign Affairs. Review by Walter Russell Mead. September/October 2017 Issue. Journal of Policy Analysis and Management. “Review: The Financial Diaries” By Luisa Blanco. Vol. 36, No. 4, 957–959 (2017). New York Review of Books. “America: The Forgotten Poor.” Review by Jeff Madrick. June 22, 2017 issue. CNN/Money. “What Trump doesn’t understand about the poor.” by Heather Long. June 15, 2017. New York Times. “Steady Paycheck, Shaky Income, Rising Angst” by Patricia Cohen. Page A1. June 1, 2017. Stanford Social Innovation Review. Ron Haskins review of The Financial Diaries. “The Closer You Look, the Worse it Seems.” Summer 2017 issue [print edition.] May 17, 2017 (online). London School of Economics Review of Books blog. Joe Lane review of The Financial Diaries. San Francisco Review of Books. David Wineberg review of The Financial Diaries. Marketplace (public radio). “Americans are worrying about financial security even when they have jobs.” Jonathan Morduch and Rachel Schneider interview with Kai Ryssdal. May 17, 2017. Publisher’s Weekly. 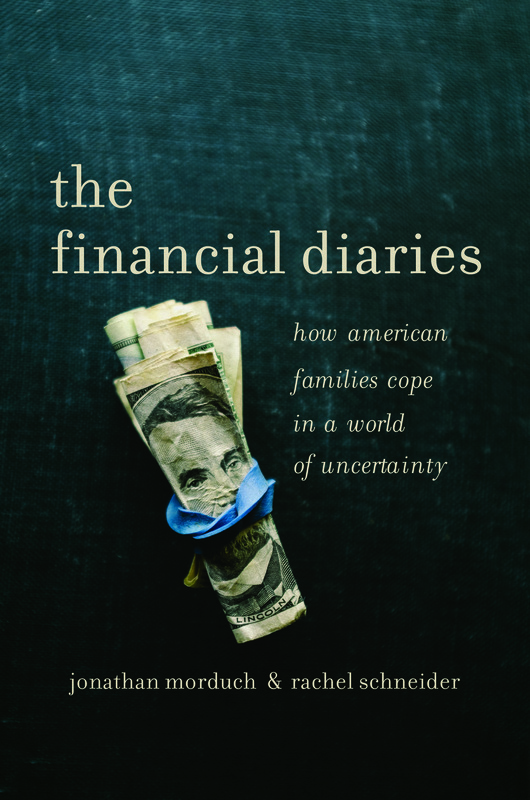 (Starred Review) “REVIEW: The Financial Diaries: How American Families Cope in a World of Uncertainty.” March 1, 2017. Times Higher Education. “REVIEW: The Financial Diaries: How American Families Cope in a World of Uncertainty, by Jonathan Morduch and Rachel Schneider.” By Lisa Mckenzie. May 4, 2017. Forbes. “How These 9 Families Deal With Living Paycheck To Paycheck.” By Lauren Gensler. April 10, 2017. Truthdig. “Book Review: The Financial Diaries.” By Alexis Camins. April 14, 2017. Enlightened Economist blog. Diane Coyle: Review of The Financial Diaries. April 11, 2017. Washington Post. “Why some families who save constantly are still struggling to make ends meet.” By Jonnelle Marte. April 11, 2017. CBS News/MoneyWatch. “The United States of Insecurity.” By Aimee Picchi. April 17, 2017. MarketWatch. “How American families manage roller-coaster finances.” By Richard Eisenberg. April 25, 2017. CBS News. “5 Signs You’re No Longer Middle Class.” By Aimee Picchi. April 26, 2017. Money Magazine (Time.com online). “These 3 Charts Show Why Middle Class Workers Are Struggling to Get Ahead Today.” By Rob Wile. Apr 17, 2017. Leonard Lopate Show. WNYC. How we spend money (Interview with Jonathan Morduch: 32 minutes). April 18, 2017. Audio. NYU News. “The Plight of the Sometimes Poor.” By Eileen Reynolds. April 2017. PBS NewsHour. “Why Americans aren’t good at rebounding from financial emergencies — and how you can get better.” By Kristen Doerer. April 18, 2017. Bob Sullivan The Restless Project. “Don’t know how much money is coming in next month? That’s the (new) American way – it’s called ‘precarity’.” April 27, 2017. USA Today. “Why even full-time workers struggle with expenses.” By Bob Sullivan. May 3, 2017. Wall Street Journal. “Fintech Apps Bring Stability to Stressed Families. New apps help people save more money, pay bills and cope with fluctuations in income.” By David Wessel. April 25, 2017. Christian Science Monitor. “Worker anxiety at 4.4 percent unemployment? It’s about hidden volatility.” By Schuyler Velasco. May 5, 2017. Next City. “Financial Diaries Show Stability Matters as Much as Mobility.” By Oscar Perry Abello. April 26, 2017. Medium. “Why We Invested: US Financial Diaries.” By Sarah Morgenstern, Omidyar Network. April 19, 2017. So Money [podcast], Episode 562. Farnoosh Torabi interviews Rachel Schneider about The Financial Diaries. April 2017. Next Billion. “Dear Diary: New Financial Diaries Research Explains Why Many Americans are So Angry.” By James Millitzer. (With podcast). April 24, 2017. Nasdaq. “Fintech and Digital Wallets Are The Core Of Financial Inclusion.” By Due.com. May 5, 2017. Spark Magazine. “Narratives that Inform Our Work.” By Tracey Fischman. May 4, 2017. 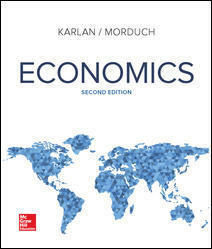 Economics (1st Canadian edition) with Dean Karlan, Rafat Alam and Andrew Wong. 2017. McGraw-Hill. Robert Cull, Jonathan Morduch, and Asli Demirgüç-Kunt (editors). 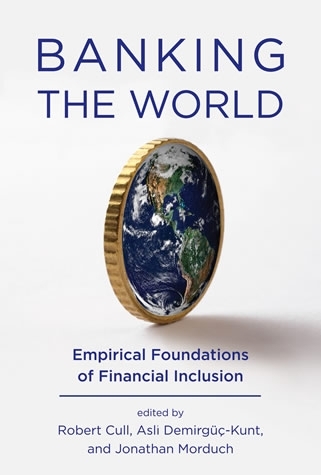 Banking the World: Empirical Foundations of Financial Inclusion. MIT Press, 2012. Beatriz Armendáriz and Jonathan Morduch. 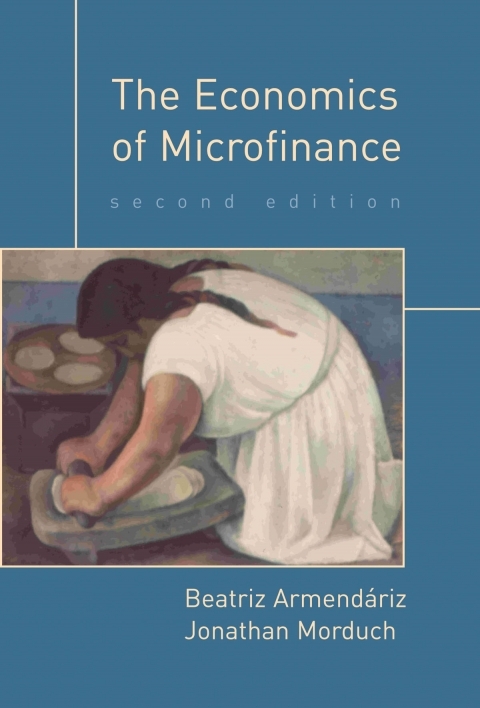 The Economics of Microfinance, 2nd edition. MIT Press, 2010. Daryl Collins, Jonathan Morduch, Stuart Rutherford, and Orlanda Ruthven. Portfolios of the Poor: How the World’s Poor Live on $2 a Day. Princeton University Press, 2009.